The next Forget Me Not tea party is on Thursday 09th August 2.00pm – 4.00pm. Come and enjoy afternoon tea; and yes with china cups, home-made cakes, and rather good table service. Meet old friends and make new ones; and have a good natter about anything and everything. Absolutely no charge. HELP – We are planning a Memory Walk to raise funds for the Alzheimer’s Society. The ‘walk’ will take place on Saturday 15th September, the time to be confirmed. We’re in the early stages of planning, so if you have any interesting ideas, wish to take part, or if you are able to help in any way whatsoever, please come along to find out more. Come and enjoy an evening of Baroque Splendour at the parish church on Friday 20th July. The celebrated organist, John Hosking, who is shortly to release yet another CD with soprano Olivia Hunt, will entertain in his own formidable entertaining style. 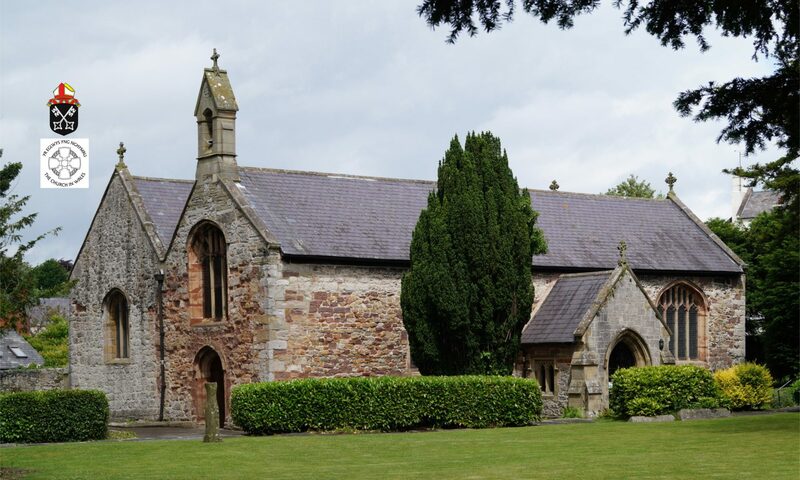 John, who is the Assistant Director of Music at St Asaph Cathedral, will perform a musical selection from the Baroque era within the historical setting of this Medieval church. Start at 7.30pm. Admission is £5.00, payable at the door. St Asaph was abuzz on Saturday 26th May between 10am and 5pm, as the first ever abseil down the St Asaph Cathedral tower took place at the top of the hill, and an exciting Spring Fair in and around the Parish Church was in full swing at the bottom of the hill. The theme of the day was “Looking after our Environment”, so the children of the VP Infants school and Esgob Morgan Junior school had made delightful bunting, depicting their anxieties about the state of our planet and wish to save our resources by acting responsibly. 35 daredevils abseiled, ages ranging between 12 and 83, while a number of supporters and well-wishers sat on the grass, in the sun, encouraging and applauding each “landing”. We are very grateful to the Dean of the Cathedral for allowing us access to the tower for this venture. Meanwhile, in the churchyard, the Rotary club barbequed “Neil the butcher’s homemade burgers and sausages to perfection to feed the large number of visitors. Vale Scale Model Club encouraged the inner child in dads with the chance to drive their model lorries and tractors. The birdbox construction stall soon sold out as did the cake stall. Craft-making, face-painting, plant sales, other charity stalls, and the St Asaph Community Association plied a good trade, while raffle tickets and lucky dips offered the element of chance! The Bridge restaurant supplied ice creams to those feeling the heat! Two local Police Community Support Officers were ‘in attendance’ to offer excellent advice on cycling, road safety, and crime prevention; and to security-mark bikes. The weather was very kind, enabling all our visitors and abseilers to have a wonderful time. It was a great pleasure to be able to welcome so many of our local community and visitors alike to the church and its grounds, and to demonstrate the even greater potential for community use in our planned fully renovated building. Thank you to everyone who helped and supported this dual event, your generosity will now enable us to make a sizable donation to Tŷ Gobaith and will also boost the church’s renovation project fund. On Friday 25th May, Techniquest brought their Stardome Key stage 1 and 2 programmes to the Parish Church. Years 1 and 2 from St Asaph VP Infants school and all the children from Esgob Morgan Junior school were able to attend through the day. This was a great experience of discovery for them; their excitement was palpable, and they all enjoyed the presentation and learnt about the solar system, at the same time. Being in a church was a first for Techniquest and also for the parish church, but we hope to see them again!